The word “homeschooling” can cover so many things. From teaching and learning, to home skills and life skills, and everything in between. Homeschool families are very busy people! It’s not about staying home, although we try to do that so we get our school work done, but it’s about raising well-rounded kids who grow into well-rounded adults. It means phonics lessons and sports and music and languages and climbing trees and jumping in puddles. 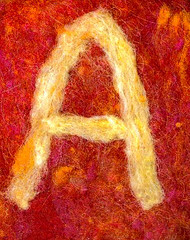 Since we can talk about everything from the Alphabet to Zoology, The ABC’s of Homeschooling was born. 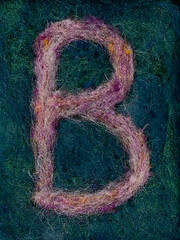 Please join in each week as we cover a new letter, and link up together to go through the ABC’s! 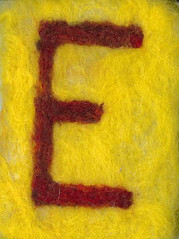 ….is for Animals. Having two dogs, five cats, a pony, and miniature horse provide lots of opportunities to learn about animals. The girls not only can learn about their similarities and differences, but also take responsibility for their daily needs and health care. 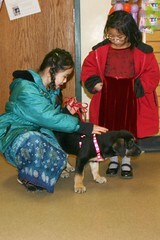 Sophia and Olivia ready to take Gretel home on her adoption day. Gretel is about 3 months old in this picture. We also take field trips to extend learning about animals we have as well as ones that we have read about in books. The girls by a foal and adult Clysdale horse. The foal is taller than Olivia’s miniature horse. 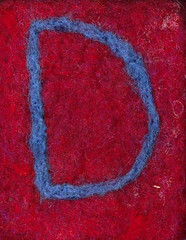 ….is for Butterflies. 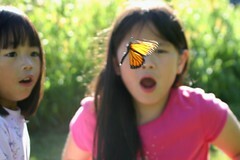 The girls have raised butterflies for several years now by finding monarch caterpillars in the backyard and pastures. They feed them indoors and then watch the transformation process. At the end, they release the butterflies. fly right in front of them. In the fall, the girls spread milkweed seeds throughout the farm so the monarchs that return in the spring and summer have food to eat. 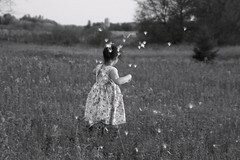 Sophia spreading milkweed seeds in the south pasture. The wind is carrying the seeds off to new locations. …. 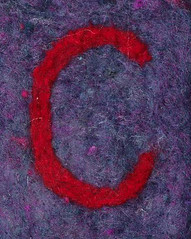 is for China. Both the girls were born in China. Sophia was adopted at 11 months old, and Olivia was adopted at 10 months old. 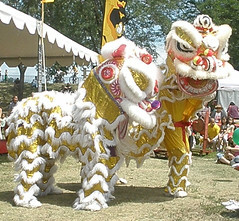 Their birthdays and adoption days are celebrated by integrating Chinese customs, food, and gifts into these special days. 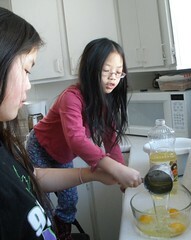 that are from China to other homeschoolers. 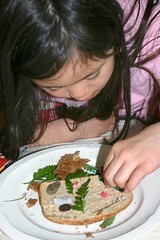 This past year, we celebrated Chinese New Year by making Nian-Gao – Chinese New Year Cake. The recipe was in the back of the book The Runaway Rice Cake which I read to the girls prior to the cake-making activity. … is for Dance. Each of the girls took dance lessons through the Minnesota Dance Theater when they were younger. Although this isn’t something that they’ve chosen to pursue, they enjoyed dancing at the time. Homeschooling gives the girls an opportunity to be exposed to a variety of different subjects which they can choose to learn about in depth…or simply be content with learning a bit about the subject/activity and moving on to learn something else. at the end of a dance camp. The girls enjoy dancing to music at home. 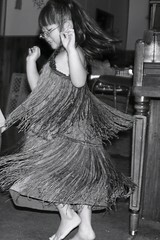 Olivia often will dance to piano music that Sophia or I play. It was the highlight of the day for them. 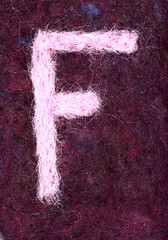 …is for Experiments. 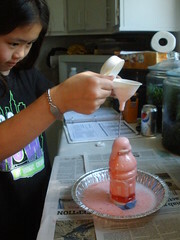 The girls both enjoy science, particularly when there is an experiment or hands-on activity that relates to the subject they are learning. Olivia learning about vocal cords. …is for Field Trips. An important part of homeschooling is being away from home and learning at different locations throughout the local area or even short day/multi-day trips. 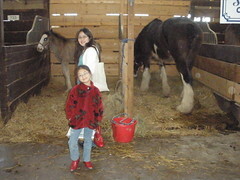 The girls both enjoy seeing and interacting with animals. One summer, the Minnesota Zoo had a special African animal exhibit. 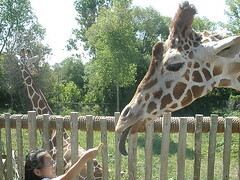 There was an opportunity to feed the giraffes. It is a memory that is vividly etched in both girls’ memories. We also regularly attend the Minnesota Orchestra’s student performances that are held throughout the school year. 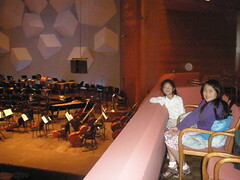 Sophia and Olivia at the Minnesota Orchestra. We have been able to take some multi-day trips during the past few years thanks to my parents. In exchange for driving them (since both no longer can drive), they have given the girls and I an opportunity to travel to places that have provided wonderful learning experiences. 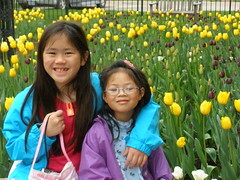 The girls by hundreds of tulips in Pella, Iowa. 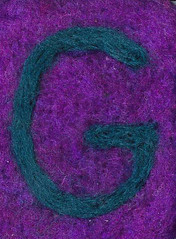 …is for Geography. For several years, the girls have been doing an ABC journey around the world. I picked a different country for them to learn about for each letter of the alphabet (with the exception of “X” which no country begins with…they learned about MeXico instead). Sophia showing the back of a kimono. 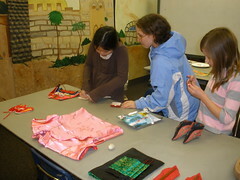 The girls studying about Japan and enjoyed learning about the country. 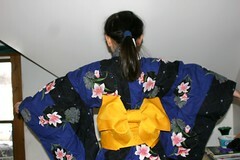 The kimono is from my friend, Yoshiko, who lives in Osaka. When we studied about Sweden, there were many local opportunities and historical sites which related to Swedish immigration and pioneers. We used the Kirsten books (of the American Girl series) as a literature base, and supplementing it with hands-on activities in many different areas. and, in the process, learned how to braid. 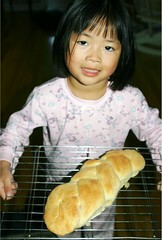 She was proud how her bread turned out. … is for History. The curriculum I have been using for the past few years (Sonlight) has a wonderful history focus. The “living books” (versus textbooks) that relate to history make the subject come alive, and have much more of a lasting impact on the girls. To supplement what we read, we also take field trips to museums and living history organizations. The girls pretending they are soldiers during WWII. 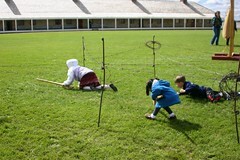 They are at a Homeschool Day event at Fort Snelling. 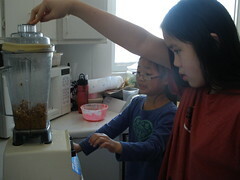 The girls enjoy cooking, so sometimes history and cooking/home economics can be connected. learning about George Washington Carver. when she was learning about fossils. We have read the entire American Girl series now which helped the girls learn about American history from the 1700s to 1970s. After completing that series, we moved onto the Little House series by Laura Ingalls Wilder. 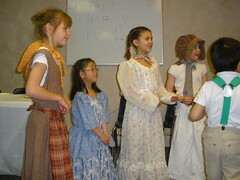 Olivia took a class at the homeschool co-op that focused on the Little House series. 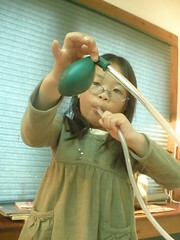 She was able to do her first play during the class. Her role was “Christy Kennedy” in “On the Banks of Plum Creek” (a Laura Ingalls Wilder story). The costume she’s wearing was made by a seamstress who I hired many years ago when I did a farm/art camp for kids. The seamstress created costumes for kids to wear that represented a variety of times in history (from the mid-1800s to 1970s). Wonderful examples.We used to have a Civil War fort nearby. It was unfortunately affected by Hurricane Katrina and never re-opened. How. Much. Fun!! The pictures are so great. Laurel, oh that is so sad! Wow! You really jumped in with us!! 🙂 The point of the weekly letter focus is so that we can have a post to put up each week that is homeschool-focused. I hope you didn't feel like you HAD to go back and do all the letters! (ACK! )It was fun see so many glimpses of your homeschool days, and I look forward to having you join us each week. 🙂 I lived outside of Boston, MA for 2 years when I was in grade school, and my Mom took us to see so many neat historical sites while we lived there. I wish we had things like that where we live! those are absolutely beautiful costumes! Great catch up words! 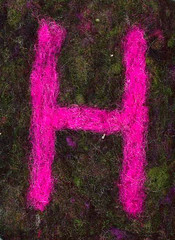 I wrote about History for H, too.